ParkinsonNet in the Netherlands has more than 3,000 medical and allied health professionals working in collaboration to support Parkinson’s patients. They are backed by the Radboud University Nijmegen Medical Centre, the Netherlands, and endorsed by the Dutch Parkinson patient’s society. ParkinsonNet is led by Prof Bastiaan Bloem and Dr Marten Munneke. 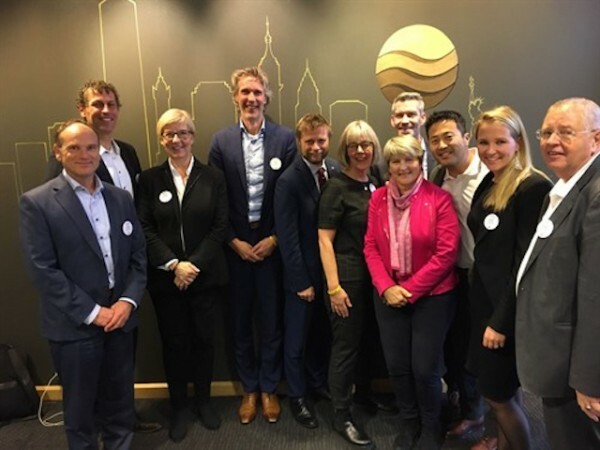 It started with just one network of physical therapists from the Radboud University Nijmegen Medical Centre, the Netherlands, in 2004. In the beginning it wasn’t multidisciplinary. We did a study comparing eight regions with ParkinsonNet to eight without ParkinsonNet. The results showed that ParkinsonNet were really great in terms of quality of care for patients. We started spreading to other regions in the Netherlands, and also into other disciplines. Having started with physical therapists, we then added occupational therapists and speech and language therapists to the network. We continued doing so until 2010, and by then we had reached national coverage – which means that in the entire Netherlands, there were ParkinsonNet experts available to patients. In the meantime, we continued to develop guidelines, which really form the basis for ParkinsonNet. Starting with allied health professionals – which include dieticians, social workers, psychiatrists, sexologists and many other disciplines – we now have 19 disciplines that are part of the network. How did you get involved and what’s your role? Now that we’ve expanded, my role is currently business manager of ParkinsonNet International. I used to be in the same role for the Dutch ParkinsonNet. I also worked for Kaiser Permanente, one of the largest healthcare organisations in the US and helped to implement ParkinsonNet into their system. How many people are in the core ParkinsonNet team? Our Coordination Centre, at the Radboud University Nijmegen Medical Centre, the Netherlands, has approximately 25 people working within ParkinsonNet. Each of the experts works for eight to 12 hours per week for ParkinsonNet and then spends the rest of their time on patient care. We highly value their roles of healthcare providers as well as experts. The programme is currently in place in the Netherlands, California in the US, and Norway, how does each version of the programme work? I always explain by using this Starbuck’s metaphor. I refer to ParkinsonNet as the ‘Starbucks formula’. They have basic ingredients – coffee beans, milk and a mug. It is the same ingredients but you can tweak the coffee to your liking. The ingredients to our formula is professional training, patient empowerment, clever IT, and a networked approach. Kaiser Permanente said that they loved our professional training, patient empowerment, network approach but they didn’t need the IT because they already had the software. They wanted coffee without milk, but I think our international experience shows that the effective ‘ingredients’ of ParkinsonNet can be installed both in a different culture and in a different healthcare system. What challenges do you face at national, European and international level? In 2014, we started implementing a small network of physical therapists in Germany. We implemented the network in virtually the same way as in the Netherlands, but the only things that we didn’t manage to do was find the German counterpart for Prof Bas Bloem. We currently have a ‘train-the-trainer’ approach, where our experts train the local experts – and then they become trainers themselves. 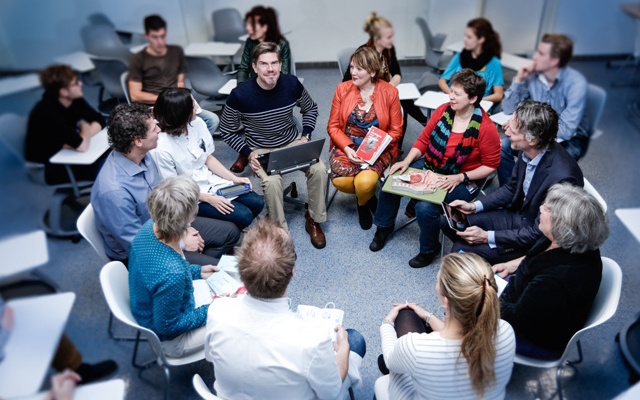 This is so that we can build sustainable networks – it’s essential to ParkinsonNet that the Netherlands branch is the guide rather than the driving force. The biggest challenge is how to finance a network-based organisation, as ParkinsonNet doesn’t directly provide healthcare. The members of the network do provide the care but ParkinsonNet is not financially involved in providing the care. In 2014, we published a study in the British Medial Journal that shows that ParkinsonNet improves the quality of care and decreases the cost. However, the problem is that the people who invest in building ParkinsonNet do not really benefit from the costs savings – it’s the insurance companies that do. That structure is really challenging, especially if it’s a ‘fee-for-service’ model. We believe that a ‘fee-for-outcome’ model would be a much better fit for ParkinsonNet. How many Parkinson’s patients have benefitted from the ParkinsonNet model? Our aim is that all Parkinson’s patients are seen by trained professionals. We’ve not been able to meet that goal, but if we look specifically at certain disciplines, such as occupational therapy for example, we know that almost 80% of Parkinson’s patients that are seen by an occupational therapist, are seen by a ParkinsonNet-trained occupational therapist. In the Netherlands we have 40,000 people with Parkinson’s, of which 75% have seen experts from our network. What’s your overall aim for ParkinsonNet? Our goal is to improve the lives of people with Parkinson’s worldwide. We focus on two different things: improving the quality of care and also empowering patients to self-manage their lives and care. What are your opinions on public versus private Parkinson’s healthcare? Good access to high-quality, expert care is the most important. If we’re really viewing patients as our partners, they should be able to choose public or private. How do people with chronic conditions, such as Parkinson’s, pay for continued healthcare? ParkinsonNet is paid for via personal health insurance companies as a fixed amount once a month. We have a wide choice of healthcare insurers, so patients can see which one fits their yearly needs the best. Our Parkinson’s Patient Foundation also helps patients to choose the one that works best for them. How do you think Parkinson’s healthcare overall can be improved? Our team travels quite a lot all over the world and have discovered that patient needs are the same. Patients want to be involved in their care plans, they want high quality information and they want to make sure their healthcare providers work together, instead of being contradictory. We would like to make sure that the global knowledge base continues to grow via collaboration with Centres of Excellence. What are your hopes for the treatment of Parkinson’s in the long-term? The true hope is that we cease to exist, because there is a cure for this condition in the near future, and that the quality of life and quality of care for people with Parkinson’s continues to improve.